Ardhi University is a Public Institution established under the Universities Act No. 7 of 2005 and the Ardhi University Charter of 2007. 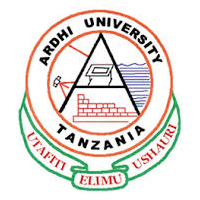 The mission of the University is to provide integrated teaching, research and public services that are geared towards achieving sustainable socio-economic development for Tanzania and the World at large, The University is looking for a qualified candidate to fill the position of Deputy Vice Chancellor for Planning, Finance and Administration. Applications from eligible candidates are invited. Women are highly encouraged to apply. The Deputy Vice Chancellor for Planning, Finance and Administration shall be responsible to, the Chief advisor of, and assistant to the Vice Chancellor in respect of such matters of the University as shall be assigned or delegated to him or his office and as may be prescribed. 2. Must possess a minimum of a PhD degree from a recognized University. 2. Applications should reach the Chairman of the Search Committee by using the address below not later than 28th November, 2017. 2. Further information about the University can be obtained at www.aru.ac.tz.